I saw this pin long ago and it sparked my interest in having a rainbow / Candy Land themed 5th birthday party. 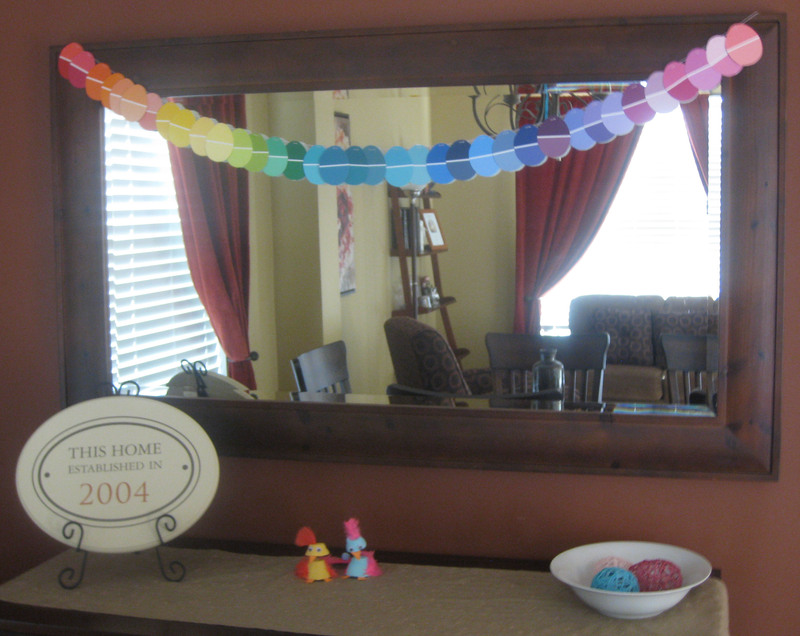 I thought these yarn balloons would be a perfect decoration for her party. 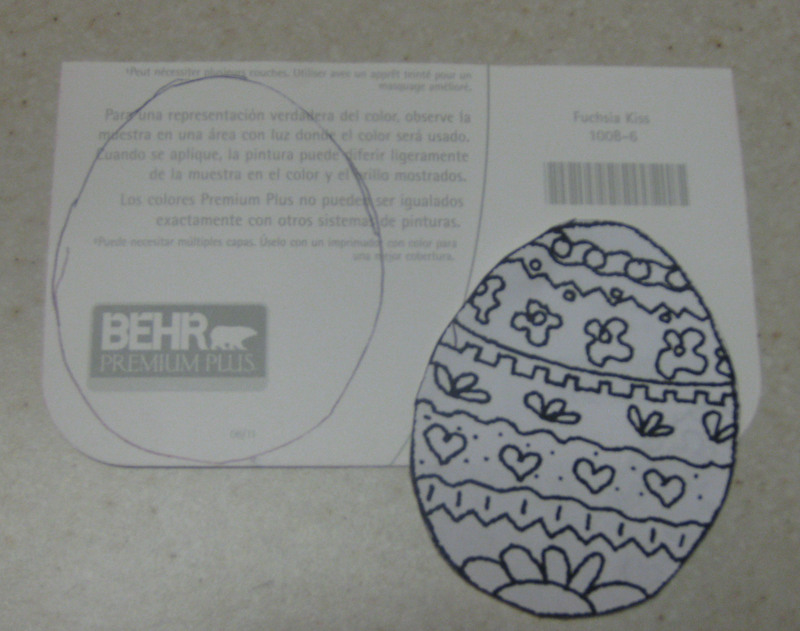 Since then, I learned that I can use this technique to make Easter egg shaped yarn balloons. So, I made enough to fill a bowl to use as a centerpiece for Easter. I’ll do more for my daughter’s birthday, but it’s not until September! 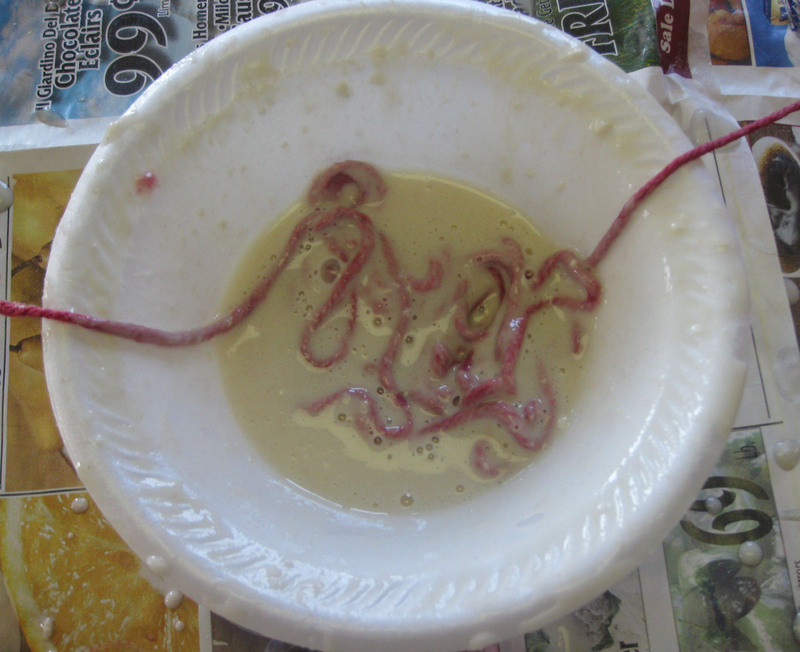 I first tried mixing tacky glue and water and this is was the result … as my daughter would say waah-waah-waaah. I knew from the moment I started putting on the yarn that it wouldn’t work. The yarn wasn’t sticking, my fingers were very sticky, etc, etc. Also, I tried to do this outside and that was a BAD idea. The wind blew the balloon around too easily. I was determined to make this work, so I searched Pinterest for a new concoction. 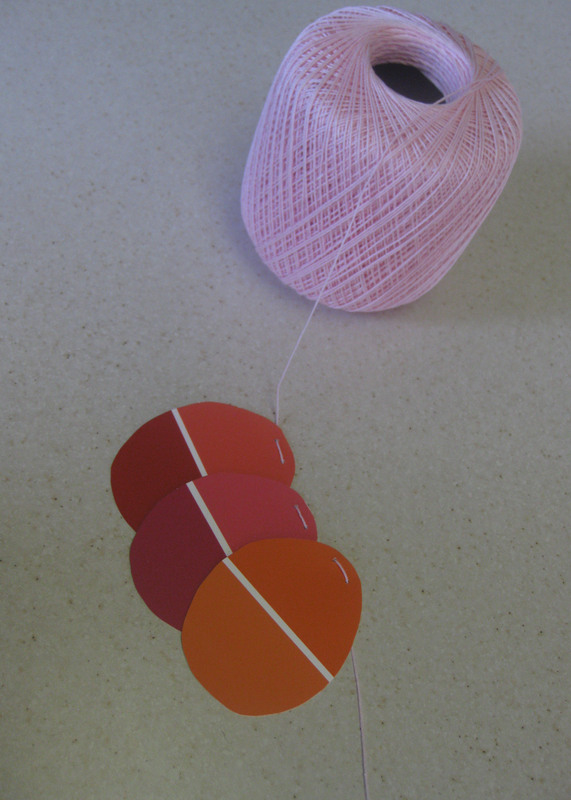 I read of many ways to make the paste used to affix the yarn to the balloons. I headed to the store with a long list of ingredients. The first mixture I tried was to mix 1 cup of liquid starch (I used STA-FLO) with 1/2 cup of flour. To my delight, it worked great. I was relieved that I wouldn’t have to try any of the other recipes. Although this project is messy, I loved that the mixture was easy to clean off my hands and my counter top. 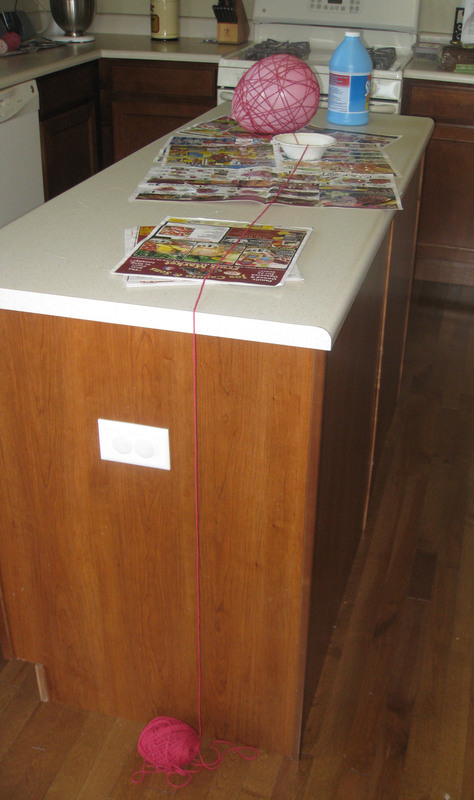 1) Cover table or counter top with newspaper. 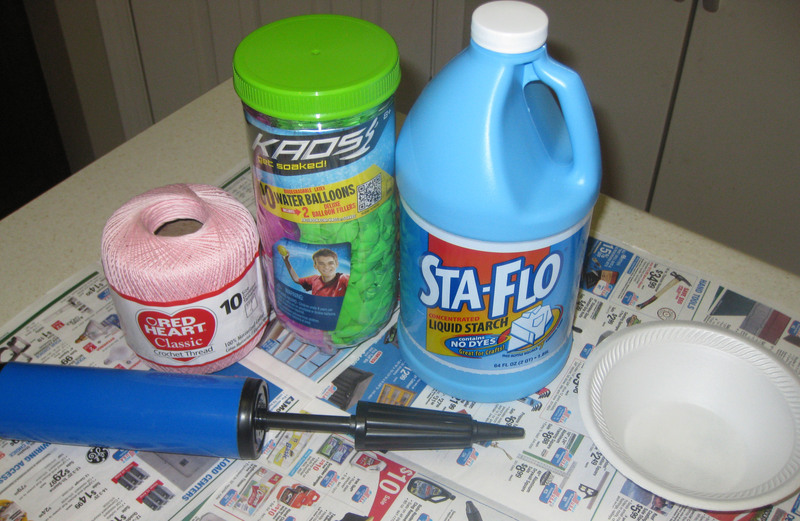 2) Prepare paste. I combined 1/2 cup of STA-FLO with 1/4 cup of flour. This amount made three balloons. I would have made more, but it was all that would fit in my bowl. 3) Blow up water balloon (I had to use a hand pump because it was impossible to blow up with your mouth). 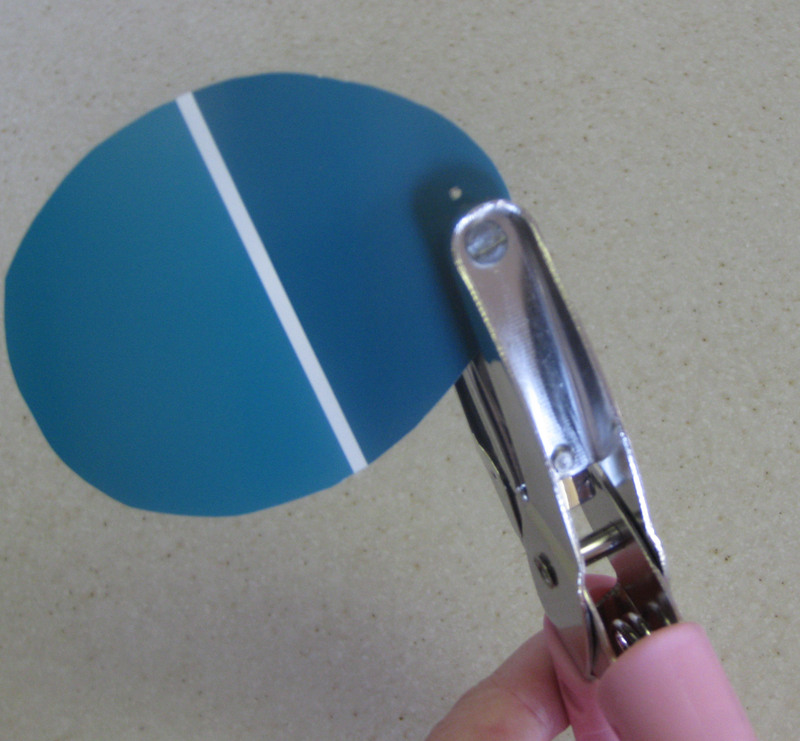 4) Shape balloons by squeezing them into an egg shape. 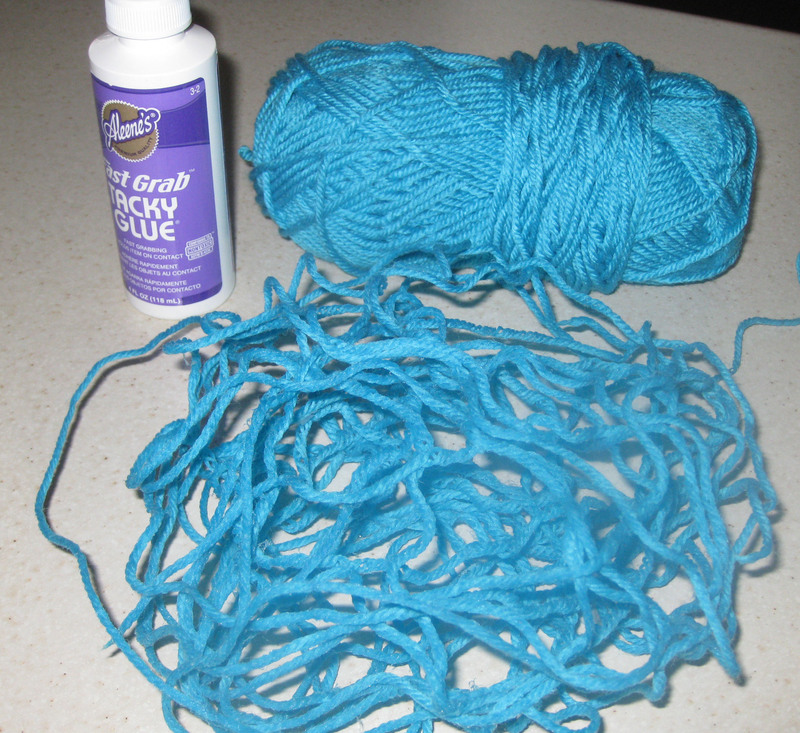 5) Prepare yarn. I did not cut the yarn ahead of time. I just unraveled part of the ball and dropped the ball over the edge of my counter top. This made it easy for me to pull more yarn as I needed it! NOTE: Use any kind of yarn. I liked the look of the really thin crochet yarn that I had on hand. You can also use embroidery floss. 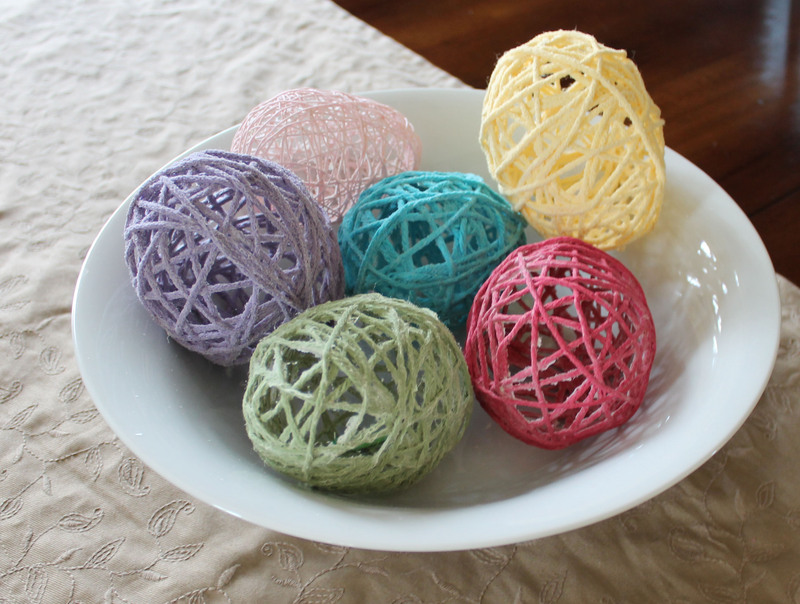 6) Place some yarn in the bowl. I probably placed 3 feet of yarn in at a time. Be careful not to knot up your yarn. 7) Squeeze out the paste mixture over the top of your bowl (so it drips back in). 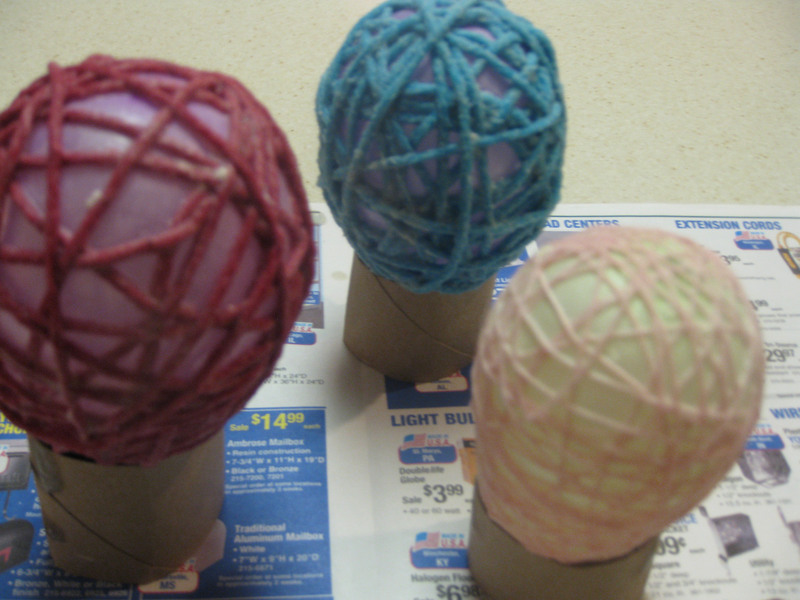 8) Wrap yarn all around your balloon. 9) Keep wrapping. Wrap until you have as much yarn as you like. 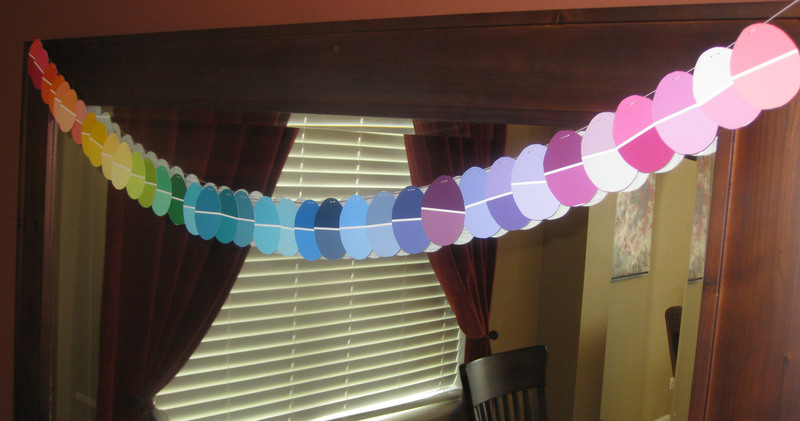 10) I cut up some toilet paper rolls and placed my balloons on them to dry. In the morning, I flipped the balloon over to dry the other side. 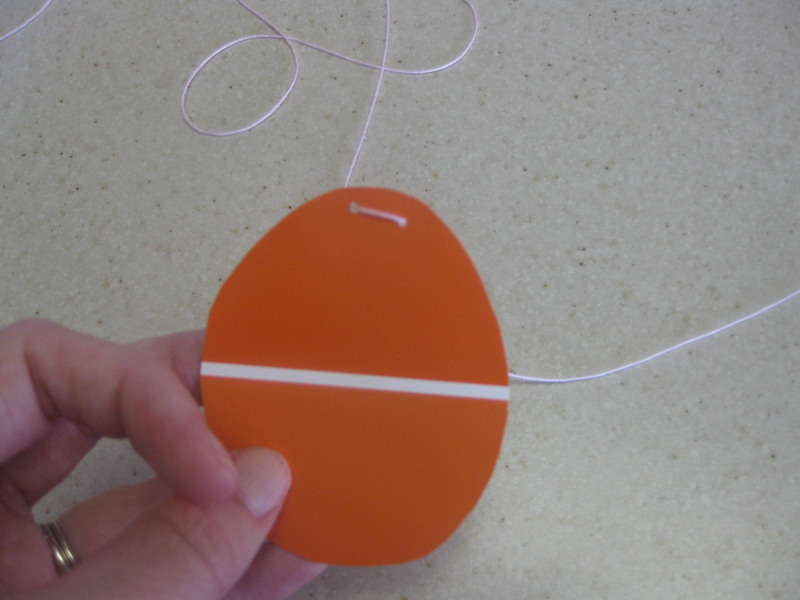 11) Once the balloon is completely dry, hold onto the tied part of the balloon and pop it! MAKE SURE TO HOLD ONTO THE TIED PART OR IT WILL BE REALLY HARD TO GET ALL THE REMNANTS OUT OF THE BALLOON!!! 12) Now admire your balloon. You will notice there is extra glue on the balloon. 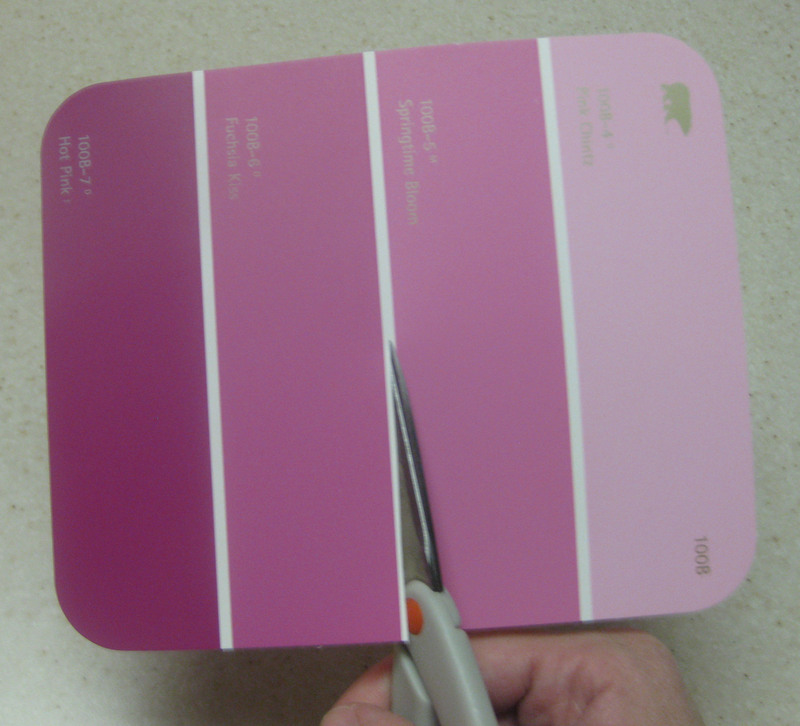 Go ahead and use a pin or paper clip or something to scrape out the existing glue. I didn’t do this, but you could to have a more finished product! I’ve read that these can last years and years. I plan to save mine for next year. Another fun alternative is to fill the water balloon with a treat or something. Then, when you pop the balloon, there is a treat inside the balloon. 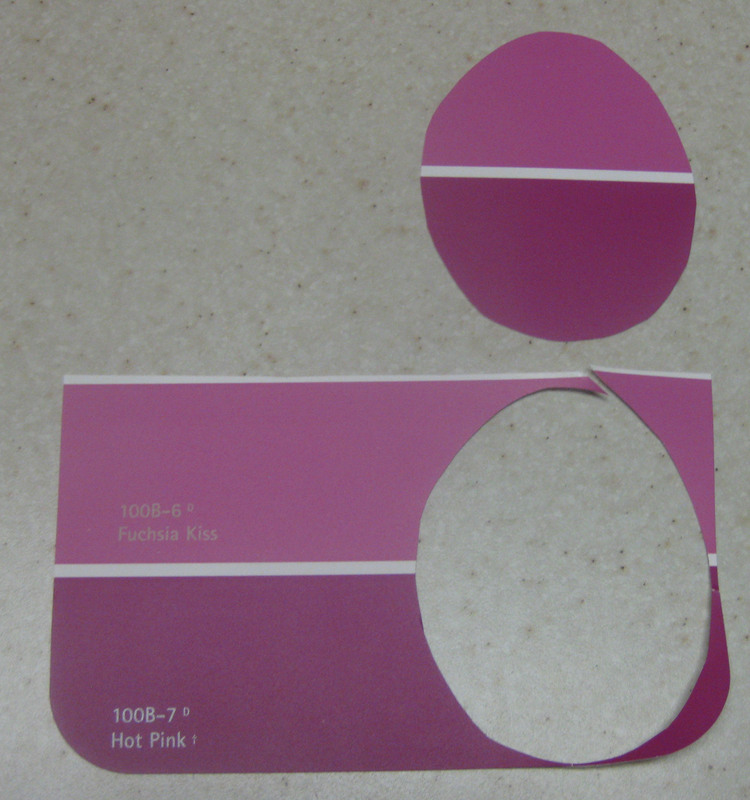 Then, your kids get to cut open the balloon on Easter for the treat. And here is a picture of my centerpiece! Time: It took me about 25 minutes to do three balloons. To do 6, it would probably take 40 minutes. It took a bit of time to get it all setup and cleaned up. 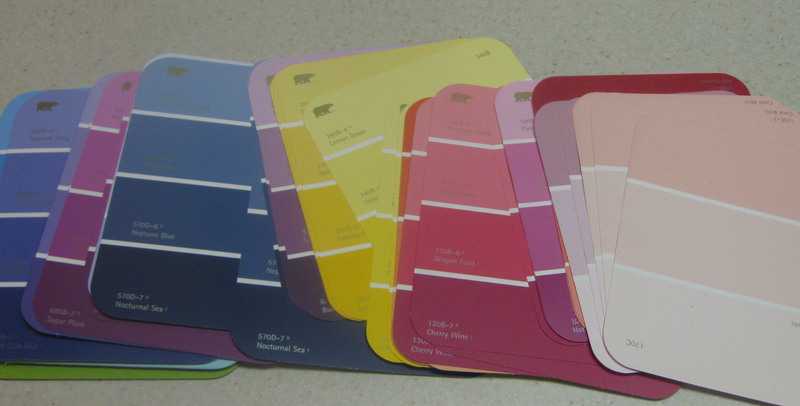 Substitutions: I did not make these into a garland because I already made the paint chip garland! Also, I used yarn instead of embroidery floss. I bet the embroidery floss would work really well, too!